A U.S. Army spokesman says officials have narrowed to five the number of cities under consideration to house a prestigious command center that’s meant to modernize Army operations and technology. Col. Patrick Seiber tells the Austin American-Statesman that Austin, Texas, is a finalist for the Futures Command headquarters along with Boston, Minneapolis, Philadelphia and Raleigh, N.C.
Seiber says 10 other cities — including Atlanta, Chicago, Dallas, Los Angeles and Seattle — are no longer candidates. A final decision is expected by the end of June. The Army wants the center to be near experts in technology and innovation who can figure out emerging threats and what equipment will be needed to answer them. 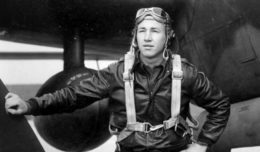 The Navy has accepted delivery of a destroyer named for a naval aviator who crash-landed his plane to try to save a downed pilot in the Korean War. Medal of Honor recipient Thomas Hudner witnessed the christening of the ship in April 2017 at Maine’s Bath Iron Works and died months later at 93 in his native Massachusetts. During the June 15 ceremony in Bath, a flag was hoisted that previously flew over Arlington National Cemetery and on the USS Constitution to honor Hudner’s efforts. Hudner failed to save his comrade, Ensign Jesse Brown, but is remembered for his devotion. A Danish court on June 15 ordered the country’s Defense Ministry to compensate 18 Iraqi civilians detained by Iraqi security troops during a 2014 military operation in Iraq in which Danish soldiers assisted. The Eastern High Court in Copenhagen says the Danish soldiers did not abuse any of the Iraqi civilians but they knew the detainees were “in real danger of being exposed to inhumane treatment in terms of being hit and kicked” by the Iraqi forces. Defense Minister Claus Hjort Frederiksen said his ministry would appeal. A senior official from the United Arab Emirates says the U.S. has rejected three separate requests from the UAE for military assistance in the Saudi-led coalition attack on the Yemeni port of Hodeida. The official says the Trump administration denied the requests within the past 24 hours as the UAE’s operation to wrest control of the port from Iranian-backed Shiite rebels got underway. The rejected requests were for aerial satellite imagery, other surveillance and reconnaissance, and minesweeping. The official was not authorized to publicly discuss the matter and spoke to reporters on condition of anonymity. The official says the minesweeper request has been filled by France. British plane engine manufacturer Rolls-Royce said June 14 that it plans to cut 4,600 jobs over the next two years as part of a major restructuring effort. Around 3,000 of the cuts will affect U.K. employees, particularly at a site in the English city of Derby. Rolls-Royce currently employs 26,000 people in the U.K., almost half of its total workforce worldwide. Frank-Martin Hein, spokesperson for Rolls-Royce, said that up to 2,000 redundancies could be made this year and that mostly support and management roles will be cut. The company said it wants to save 400 million pounds ($537 million) over the next two years to sustain an increase in profits. While Rolls-Royce saw a 25 percent rise in profits in 2017, it has issued a series of profit warnings in recent years, and Rolls-Royce is struggling to recoup the costs of long term investments. Since 2010, the company has invested over 11 billion pounds ($14 billion), a substantial portion of which was devoted to researching and developing a new engine for the Boeing 797. Israeli Prime Minister Benjamin Netanyahu is praising a $1 billion military drone deal between Israel Aerospace Industries and Germany as a sign of strong bilateral security ties. Germany’s parliament approved the agreement to lease Heron TP drones from the state-owned Israeli company through Airbus. IAI said June 14 the deal was for five drone systems, training for German operators, and support services. German Defense Minister Ursula von der Leyen told Germany’s DPA news agency on June 13 that the long-range drones will “provide better protection for the soldiers on the ground” in Afghanistan and Mali.